The mobile market is all heated up with the latest releases by corporate giants like Apple, Google, and Microsoft. Everyone, trying their best to earn themselves a place in the pocket, of each and every human alive on this earth. And, one such giants who is looking upon, all the facet of budget phones and tablet is Google’s Android Operating System. Launched, in September 2008, and since then, there is no looking back for this masterpiece which was created by Google in collaboration with Open Handset Alliance (OHA). This post summarizes the journey of Google Android so far, and reviews some the finest Android Operating System which are popular among users. The version history of the Android operating system began with the release of the Android beta in November 2007. 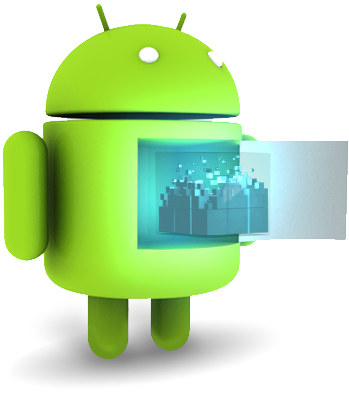 The first commercial version, Android 1.0, was released in September 2008.These updates typically fix bugs and add new features. Since April 2009, each Android version has been developed under a codename based on a dessert or sweet treat. These versions have been released in alphabetical order: Cupcake, Donut, Éclair, Froyo (frozen yogurt), Gingerbread, Honeycomb, Ice Cream Sandwich, and Jelly Bean.The pre-release versions of Android were dubbed Astro and Bender, but these names could not ultimately be used for trademark reasons.The most recent update to the Android OS was Jelly Bean v4.1, which was released in June 2012. Android became the world’s leading smartphone platform at the end of 2010. For the first quarter of 2012, Android had a 59% smartphone market share worldwide. At the half of 2012, there was 400 million devices activated and 1 million activations per day. Analysts point to the advantage to Android of being a multi-channel, multi-carrier OS. Google’s Android has overtaken Symbian and Windows mobile in terms of number of users. But how did Android manage this in just a few years? Android, since the day it was launched, has been available free of cost and Google made it clear that it will be free in future as well. The OS caught the attention of manufacturers across the world and many initially adopted it for low cost smartphones. Seeing the huge response of the buyers to the Android-based phones, many equipment manufacturers joined the league and more are joining every day. Therefore the free nature of this operating system help in reducing cost thereby helping buyers too. Unlike other operating systems that are protected by lots of copyrights, Google chose to keep Android open for all. By doing this, the company got many programmers from around the globe to develop applications, while keeping its liabilities to a minimum. With many brains working on the system, newer and newer ideas were incorporated, which in turn helped in making Android a preferred choice. Unlike Windows or any other mobile operating system, device manufacturers are free to modify Android as per their needs. Users enjoy much needed flexibility and ease of use because manufacturers are now able to modify anything and everything they need to make the experience a pleasant one. Android Market created an opportunity for millions of application developers around the globe to show their skills and come up with newer applications for Android phones. Its users therefore have a wide variety of applications to choose from and can customise their phones for a personal experience. Summing it up, Android has taken user experience to the next level while keeping the prices of smartphones well within the reach of the common man, and that is why Android has become the number one choice among smartphone users. 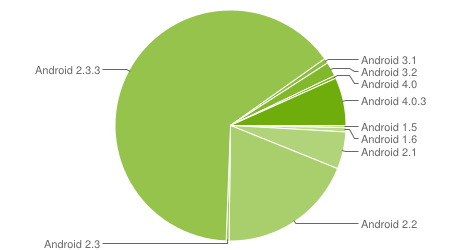 The pie chart above is based on the number of Android devices that have accessed Google Play within a 14-day period ending on June 1, 2012. 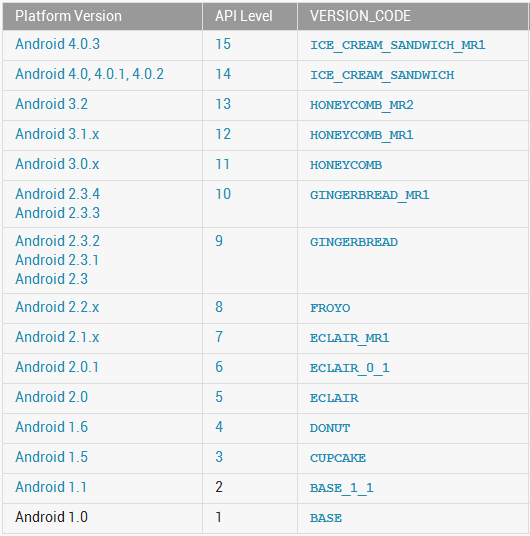 Thus, the most widely used Android Platform Version from above stats is Android 2.3.3 (Gingerbread) and Android 4.0.3 (Ice cream Sandwich) (excluding Android 2.2 (Froyo) as it’s no longer used). So, let us review both the Android Platform version to know which one of them is best and why? . The December 2010 released Android 2.3 (Ginger bread) supports the following features which was lacking to it predecessors. 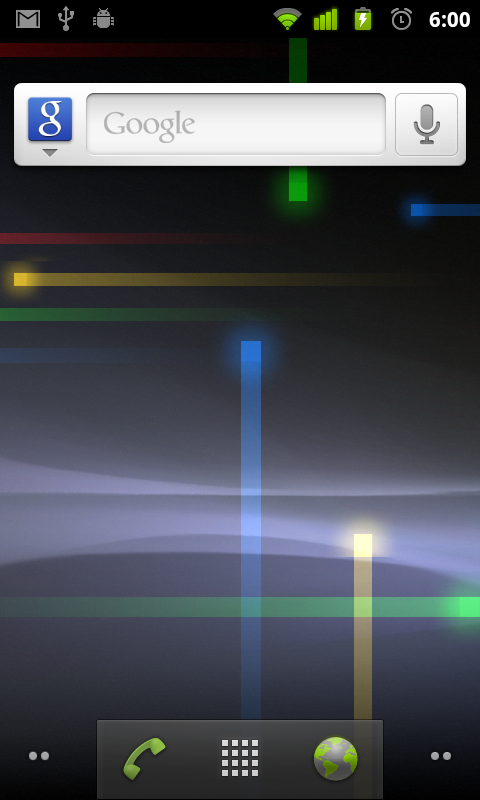 Only Android 4.0 has the ability to dismiss individual notifications. ‘Face Unlock’ feature, allowing users to unlock the home screen by face recognition is only available in Android 4.0. Android 4.0 image capturing is enhanced with continuous focus, zero shutter lag exposure and decreased shot-to-shot speed. Although, the Android Ice cream sandwich is an enhanced version of Android Gingerbread. But, the released Ice cream Sandwich has reported a lot of bugs whereas, the Android Gingerbread is considered to be a stable Android Platform Version. In terms of the market share also Android 2.3 beats Android 4.0 easily with more devices in the market with Android 2.3 installed. And the fact that Android Gingerbread has more application available as compared to the newer Android 4.0. All directing us toward Android Gingerbread Operating System. Thus, Android 2.3 (Gingerbread) is the way to go. Do, let us know about the post in comment box below.